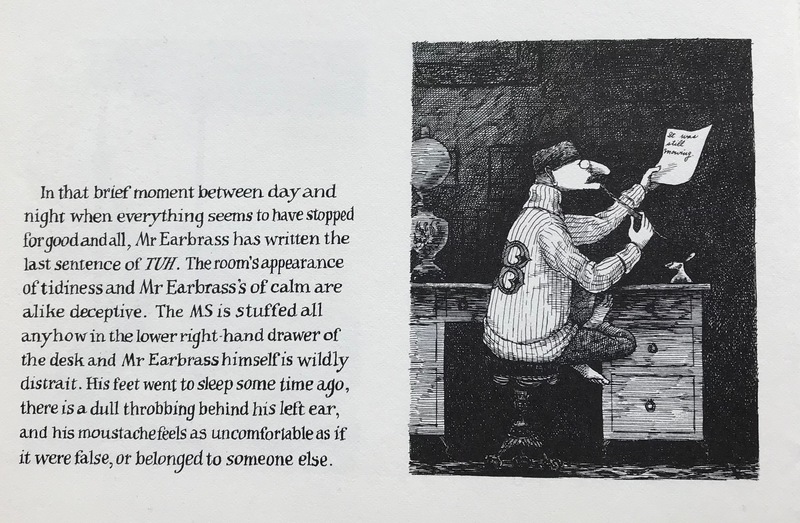 My “lower right-hand drawer” is actually a file on my computer, and my feet haven’t fallen asleep, but my calm is as deceptive as Mr Earbrass’s. I’ll need to walk it off. More of a writer’s story (Earbrass version) to come. This entry was posted in Am writing, NaNoWriMo. Bookmark the permalink. Congratulations! I did NaNo a few years ago and I know the elation at the end. Thanks, Laurie. I’ll be at a bookstore tonight, where an author-friend is on a panel talking about mystery story settings. Just the inspiration I need to head into the revision process. Thank you, Paula. Now the hard work begins!